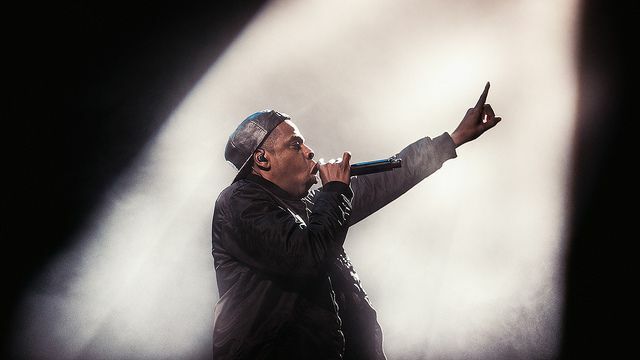 Jay Z's got 99 problems, and Tim Cook may be one. Tidal CEO and former Samsung sellout Jay Z may have wiped himself off the list of celebrities set to receive a complimentary Apple Watch, thanks to a vicious freestyle rap aimed at Apple, Spotify and YouTube. Referring to Apple — and possibly hinting at the company’s plan to approach artists with exclusive deals for the upcoming Beats Music relaunch — Jay Z said “Jimmy Iovine offered a safety net,” only for him to choose to go it alone. The most controversial part of the diss, however, was his explanation for Tidal’s troubles — claiming a conspiracy against him as a black entrepreneur. It has been previously suggested that Apple has taken swipes at Tidal by taking a long time to approve updates for the service’s iOS app, leading to the app falling out of the top 700 iPhone apps for the first time since its March 30 launch. Robert Kondrk, vice president of iTunes Content, has also reportedly told executives at Universal Music Group that Tidal artists who put out exclusive music on Jay Z’s service won’t be promoted as featured artists on iTunes. Since this can be a major boost for artists (see Jay Z’s wife, Beyonce, for example), that’s certainly no idle threat, if true.